LOS ANGELES (March 19, 2019) – Former two-division world champion Danny “Swift” Garcia and veteran contender Adrian Granados previewed their Premier Boxing Champions on FOX and FOX Deportes main event showdown at a press conference in Los Angeles Tuesday as they prepare to square-off Saturday, April 20 from Dignity Health Sports Park in Carson, California. 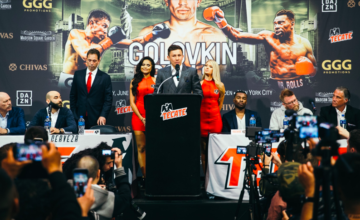 Tickets for the live event, which is promoted by TGB Promotions and Mayweather Promotions, in association with DSG Promotions, are on sale now. Tickets can be purchased at AXS.com or at the Dignity Health Sports Park box office from 10:00 a.m. to 6:00 p.m. 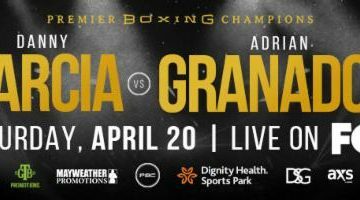 The April 20 broadcast begins at 8 p.m. ET/5 p.m. PT and features heavyweight contender Andy Ruiz Jr. taking on Alexander Dimitrenko in a 10-round bout in the co-feature and unbeaten contender Brandon Figueroa battling Venezuela’s Yonfrez Parejo in a 12-round match for the WBA Interim Super Bantamweight title. 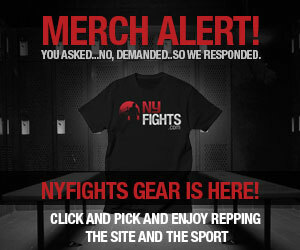 DANNY GARCIA “I’ve been training hard. I’ve seen Granados fight a few times and I know what he can do. I’m excited to be back in Los Angeles, because this is where the stars fight. This is another fight that can get me to where I want to go in my career. ADRIAN GRANADOS “This is going to be a great fight. We’re two fighters who bring it. I’m coming for a victory in dominating fashion. This is the fight that I’ve wanted for a while now. 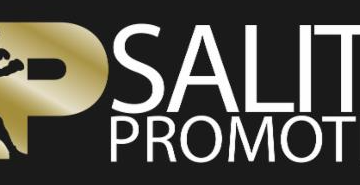 TOM BROWN, President of TGB Promotions “Premier Boxing Champions has made a major commitment to bringing some of the best and biggest fights to Southern California. We started with the Wilder vs. Fury heavyweight title fight downtown in December and we’re back again in April at the Dignity Health Sports Park. This is the premier outdoor boxing venue in the United States and we have a great show there on April 20. LEONARD ELLERBE, CEO of President of Mayweather Promotions “This is going to be a terrific fight. I’ve really been looking forward to this fight because I’ve known these guys for a long time. Styles make fights and in this particular matchup, we have two fighters who are all action.